On this page we list tools and services that operate on a pay-to-use principle. The solutions are divided into two categories: Valuation tools which are completely automated (i.e., the user inputs the data and the system calculates the value of the business automatically) and services that use a team of experts that perform the company valuation based on the data provided by the business owner. ValuAdder is a software solution for business valuation developed by Haleo corporation. 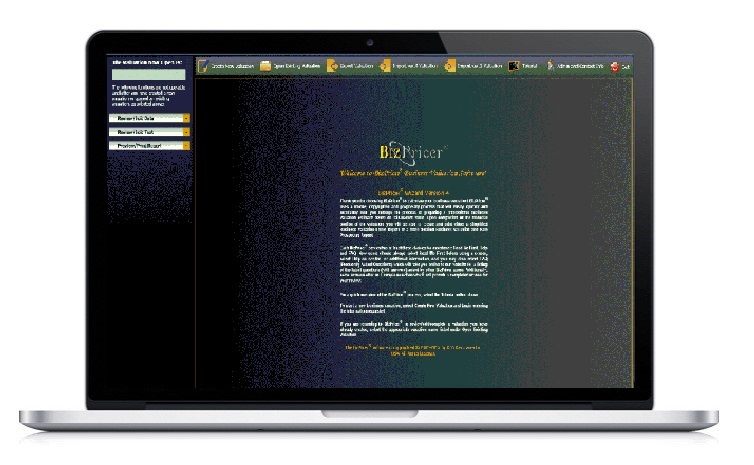 ValuAdder is a one-time purchase software that is installed on your computer. In addition to the valuation software, the users are encouraged to purchase a separate report builder. ValuAdder does not provide a free trial and it is unclear whether the software can be installed on several computers or not. ValuAdder software costs $275. 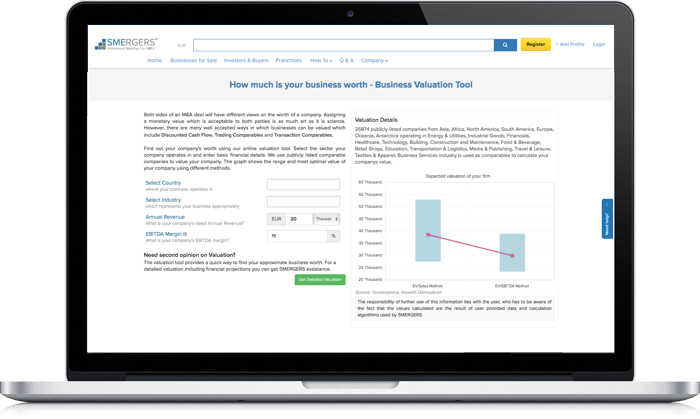 ValuAdder uses a wide range of valuation methods, including the most important DCF and valuation multiples methods. Using the report builder software together with the valuation software, the user can generate extremely detailed valuation reports that include all the data as well as extensive information regarding the methodology and business valuation in general. The reports are also easily edited in Word format. ValuAdder also provides a sample report . 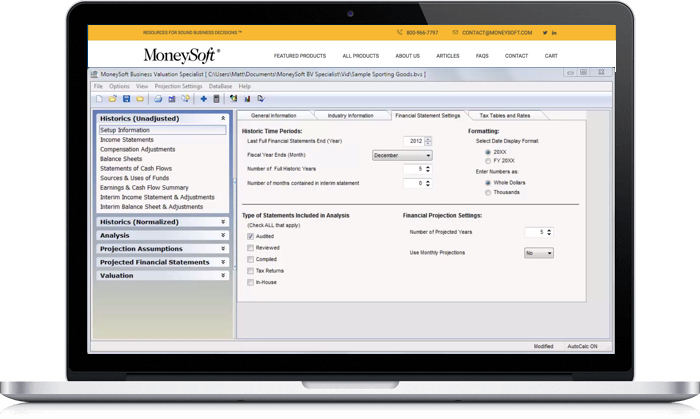 MoneySoft provides a software solution to perform automatic business valuation. 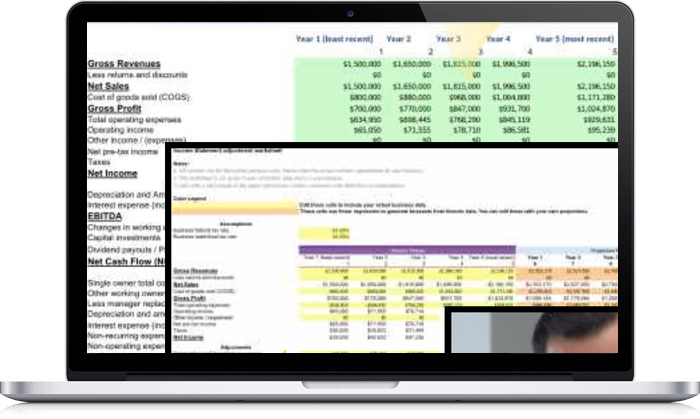 The software performs a business valuation using the three common methods: book value method, the DCF method, and the valuation multiples method. Based on the results a very comprehensive valuation report is built. The report includes all the necessary information for interpreting the results as well as general information about the used methods and business valuation. A sample valuation report can also be found. MoneySoft costs $795/year. Smergers is a financial advisory company that provides also free business calculators for SME owners. The more comprehensive valuation is provided only per request, and can be requested via a contact form on their website. Bizpricer is a valuation solutions provider for either a business owner looking to sell their company at fair market value or a buyer looking for good acquisitions. The valuation is based on the Available Cash Flow method.